If you want to add a little heat to your dish, this dip will do the trick. With an added kick, this recipe elevates that ordinary jar of salsa to a new level, and the cream-cheese-and-yogurt base packs a much-needed protein punch. Only a few ingredients makes it fast and easy to whip up and keep on hand at all times. 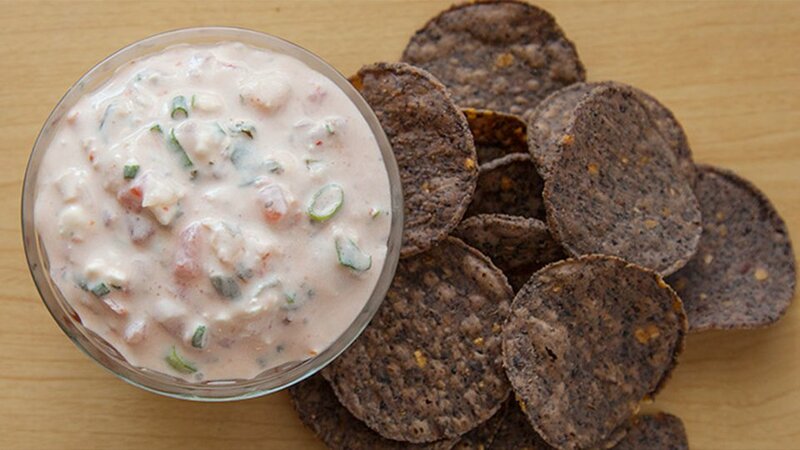 Combine the salsa, Greek yogurt, and cream cheese. Once well mixed, stir in shrimp and green onions.